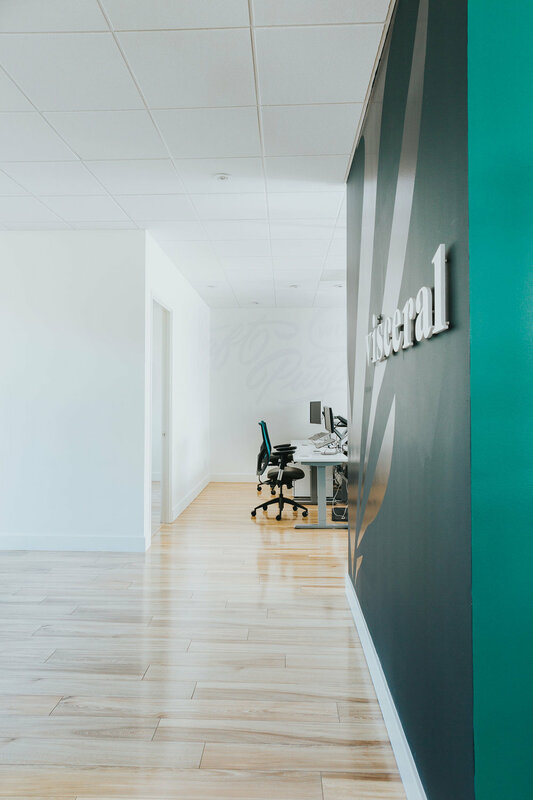 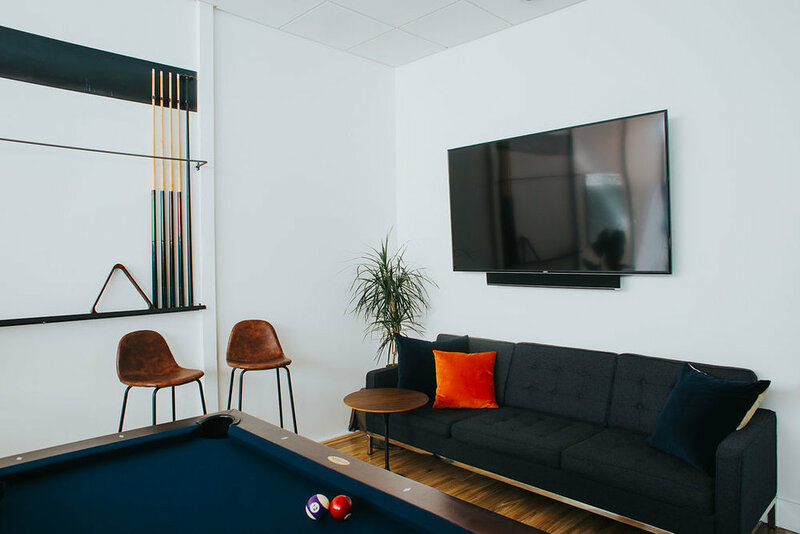 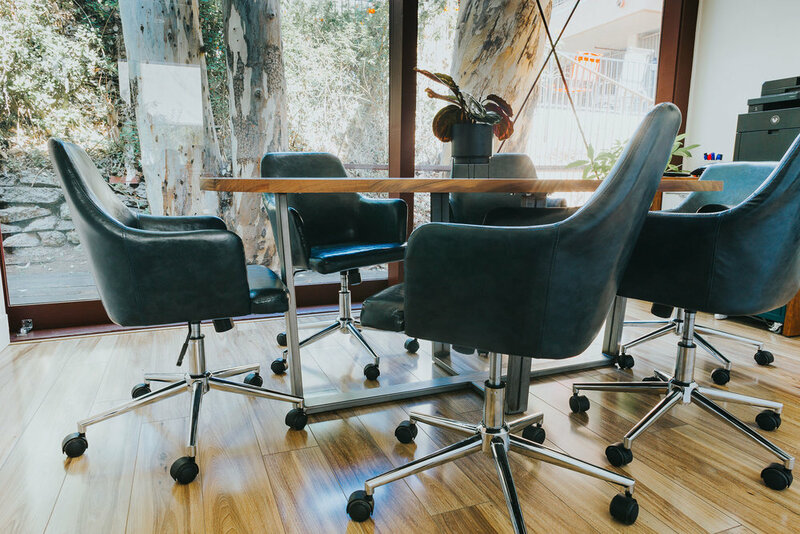 Visceral ‘s new office spaces are located inside of the Design Center, an iconic California Modernism building designed in 1949 by Lloyd Ruocco. 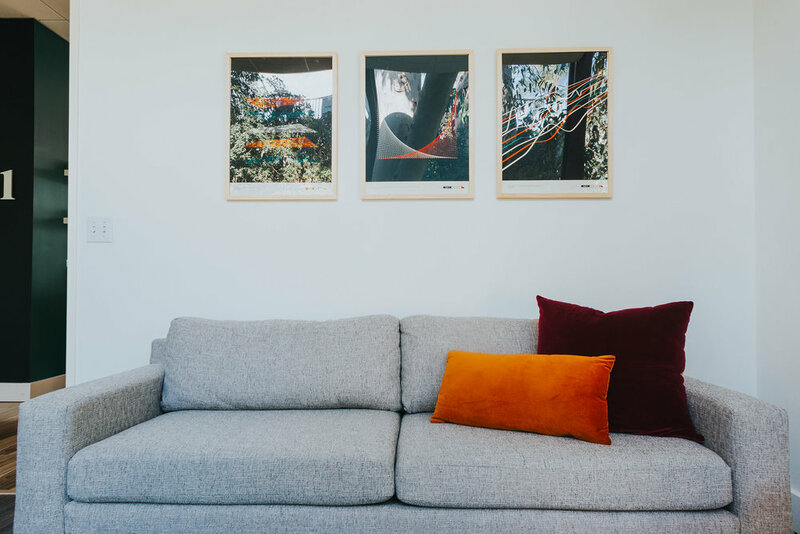 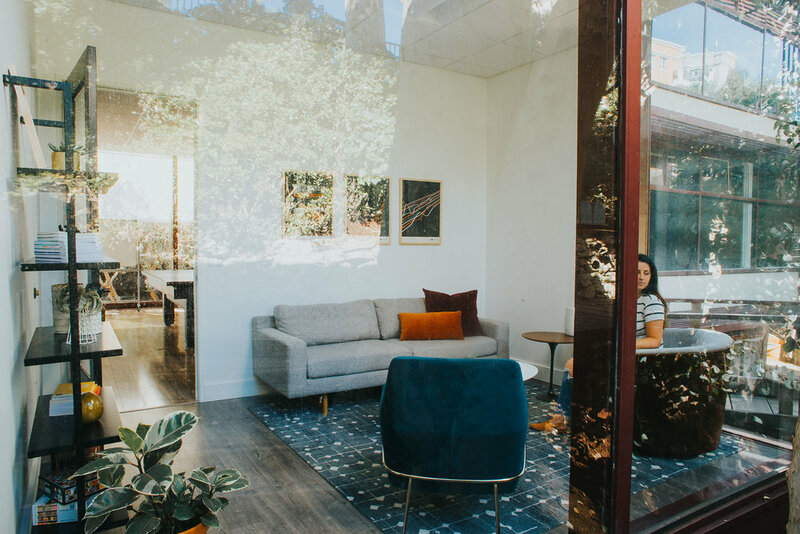 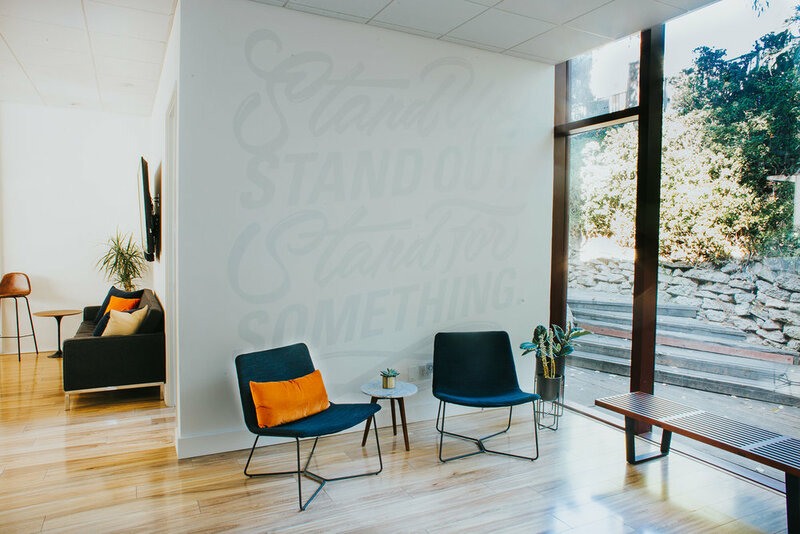 In collaboration with the team at Visceral, we created a space that stays true to Ruocco’s desire to reflect the outdoors while implementing the thoughtful branding that makes Visceral one of San Diego’s leading digital agencies. 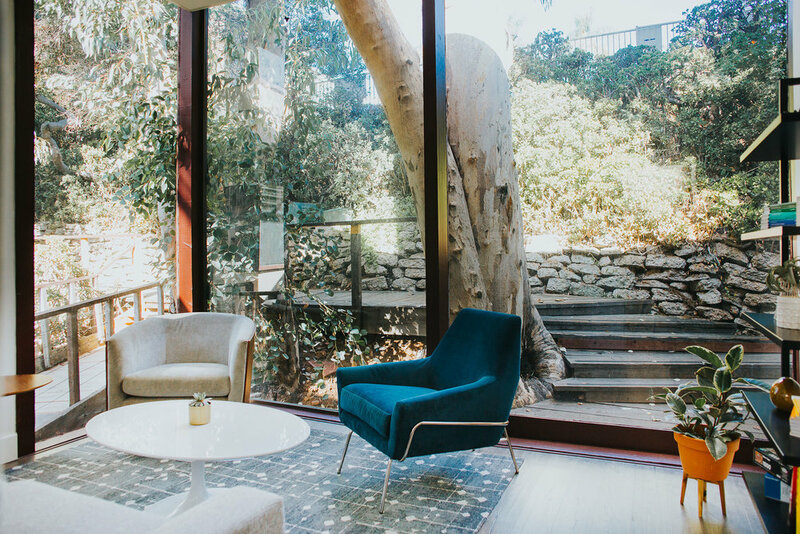 We divided a unique layout to provide different spaces for work and reflection, positioning the lounge and conference room to take full advantage of the natural views. 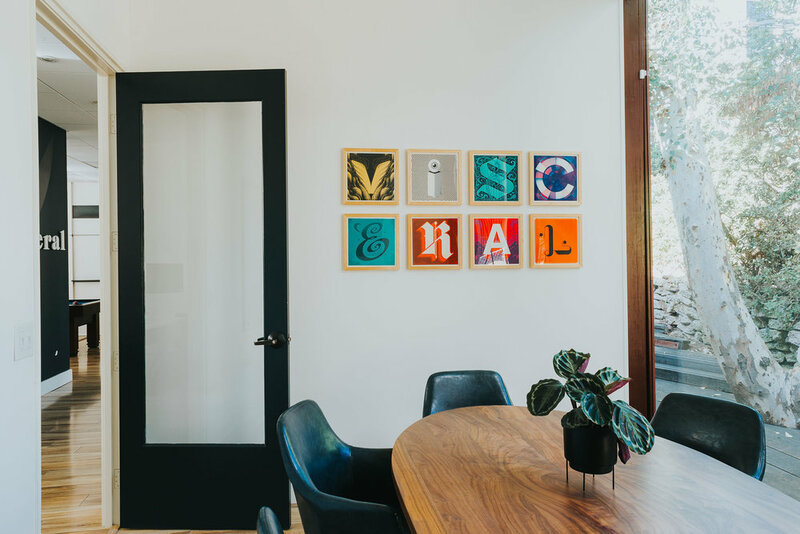 Design choices revolved around incorporating signature dark blue branding, Mid-Century Modern lines and textural graphics adhered to key walls.